Deven Varma was a film and television actor, mainly known for doing comic roles. Varma's character in "Chori Mera Kaam", "Chor ke Ghar Chor" and "Angoor" earned him accolades from audience and three Filmfare Awards as well. In a career spanning four decades Varma has worked in 149 films, with some of the biggest names in the industry, like Basu Chatterji, Hrishikesh Mukherjee and Gulzar. Deven Varma's comedy was acclaimed for the subtlety of tone and the comic timing. Deven Varma (sometimes spelled Deven Verma) was born on 23 October 1937 in Kutchh, Gujarat. He was largely brought up in Pune. Deven’s father Baldev Singh Varma was in the silver business and his mother was a housewife. Varma completed his education at the Nowrosjee Wadia College for Arts and Science graduating with Honours in Politics and Sociology. He was married to Rupa Ganguly, daughter of veteran actor Ashok Kumar. Deven Varma began his acting career by acting in theater. 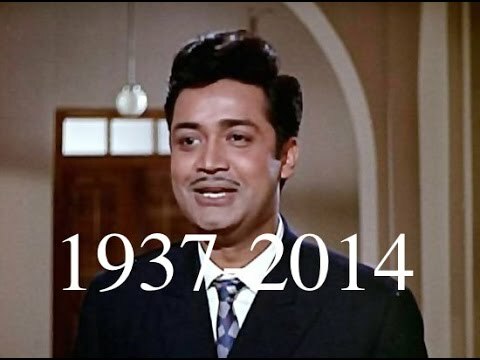 His first film break came with "Dharmaputra" in 1961. Later he was cast in "Gumrah" where his performance was much acclaimed. His next films were Devar, Anupama and a Bhojpuri film Naihar Chutal Jaiye. But the major break from where his career really took off was the film "Chori Mera Kaam" in 1975, which gave him his first Filmfare Award. The film was a big hit and Deven's performance received much accolades for his acting. Deven began to be flooded by offers and have a record of working in 16 movies at one time. Another tremendous successful film of the veteran actor was "Angoor". The film was a blockbuster and still considered one of the best comedy flicks in Bollywood. Deven's double role in the film is still remembered by audience for his subtle and believable comedy. Other memorable films of the yesteryear actor included Chor Ke Ghar Chor, Khatta Meetha, Andaz Apna Apna, Jhoothi, Ishq, Hulchul, Rang Birangi, Buddha Mil Gaya, Judaai and Deedar-e-Yaar. Apart from Hindi films, Varma acted in a couple of Marathi and Bhojpuri films. As a producer he produced the films Dana Paani, Chatpati, Besharam, Nadaan and Yakeen and as a director he made Dana Paani, Besharam, Bada Kabutar and Nadaan. Deven Varma had been unwell for some time and was suffering from kidney and heart related problems. He died on 2 December 2014 in Pune following a heart attack and a kidney failure. Saddened by the demise of Deven Verma, members of the film fraternity condoled the death of the comedian. Karan Johar: "#RIPDevenVerma ...your straight faced impeccable comic timing still doesn't have a successor...."
Anushka Sharma: "RIP Deven Verma ... ✨ ... How much I love his scene in Andaz Apna Apna "main betiyon ko chudiyaan pehnaoonga .. Aap ma ko .. "
Riteish Deshmukh: "Deven Verma - incredible actor, comic excellence second to none. Thank you for making my childhood so memorable. Will miss you sir- RIP"
Randeep Hooda: "Pritam aaaan milo" RIP Deven Verma.. So many entertaining memories of my childhood cinema experience :)) #DevenVerma"
Madhur Bhandarkar: "Sad to hear Deven Varma-ji has passed away. A breakthrough humorist & baadshah of subtle comic timing, he made comedy look classy. RIP, Sir. Manoj Bajpayee: "Sad to hear that the great deven verma ji passed away.my heartfelt condolences to his family.his performances were such an in pirating. RIP"
Meghna Gulzar: "Alvida Bahadur. Watching you eat the bhaang pakodas was delectable. RIP Deven Verma Sir." Alok Nath: "Rest in eternal peace Mr. Deven Verma, will always cherish the pleasurable moments spent with you, your subtle humour enthralled us all." Deven Varma received the Filmfare Best Comedian Award in 1983 for "Angoor". In 1979, he received Filmfare Best Comedian Award for "Chor Ke Ghar Chor" and in 1976 for "Chori Mera Kaam". fine actor with the most understated comic timing ever..
RIP Deven Varma. What a fine actor with the most understated comic timing ever! The heavens will be entertained forever now. He was a great actor. R.I.P! A good human being....I like your movies and play..